Each year, Scentsy gets better and better, and 2017 was no exception! From AMAZING trips to new product launches to contributions to our community, 2017 was truly a year of highlights. Here’s a look at some of the best Scentsy moments of the year! Our product design team aimed for the stars with our Stargaze Warmer, featuring a dazzling display of light and color so special that no two are alike. The warmer was so popular, it sold more than most warmers sell in a year in just the first hour it was on sale! Our Scentsy Facebook page hit 1 million followers on Jan. 4, 2017. We couldn’t have done it without the love of Scentsy fans everywhere! Scentsy Consultants around the world visited theaters to watch a simulcast product reveal and training video to kick off the Spring/Summer 2017 Catalog. It was the biggest virtual gathering of Consultants we’ve ever had — 24,674 in all! In June, the Direct Selling Association (DSA) honored Scentsy with the top award for Excellence in Salesforce Development for our social media selling tools. The home office team partnered with 1,000 Consultants to develop an exciting new online party experience — our Party Page — in response to the demand from Consultants, party Hosts and customers. Because of these tools, we’ve seen an average increase of $50 to $80 per party, and an average increase of $100 to $120 per party when a Consultant adds a custom video! 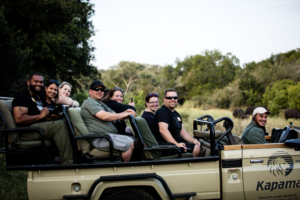 Our top 100 Consultant achievers worldwide and their guests earned the trip of a lifetime: An all-expenses-paid African safari! And thousands more Consultants earned an ultra-luxurious trip to the Hard Rock Hotel & Casino in Punta Cana, Dominican Republic! More than 5,000 Consultants hit Kansas City to get a first look at new Fall/Winter 2017 products and take advantage of in-depth business training. We also applauded award earners, caught a baseball game and celebrated Scentsy Spirit! We unveiled an entirely new fragrance system — Scentsy Go! Scentsy Go is portable, battery-powered, instant fragrance on the go. 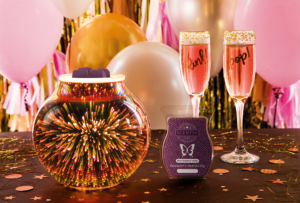 The fragrance experience can be customized by adding or mixing specially designed Scentsy Pods and adjusting the color-changing LED display. 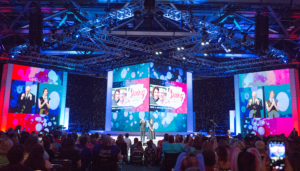 We launched our completely revamped personal care line, Scentsy Body, at Scentsy Family Reunion. Featuring deluxe formulas in our most celebrated fragrances, we were able to use premium ingredients — at a fraction of the cost of our previous personal care lines — by bringing production in-house. Our fourth annual Scentsy Rock-a-Thon was an overwhelming success! 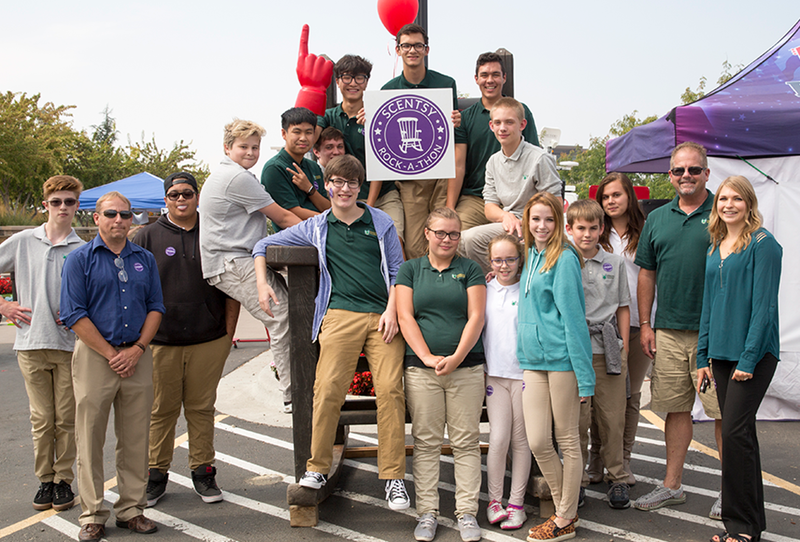 Scentsy donated $250 per chair, per hour, to the Salvation Army’s Booth Marian Pritchett School for pregnant and parenting teens. For 12 hours, more than 1,200 volunteers spent 30 minutes or more rocking in chairs at Scentsy Commons! Combined with donations from the community and our food truck rally, we were able to present the Salvation Army with a check for $250,384.50. We also collected almost 13,000 diapers and 28,000 wipes for the families of students at the school! We introduced Scentsy Bath Bombs! More than just a pretty fizz, our moisturizing, fragrant Bath Bombs enhance your bath with color and effervescence. Did we mention they’re also handcrafted in Idaho? 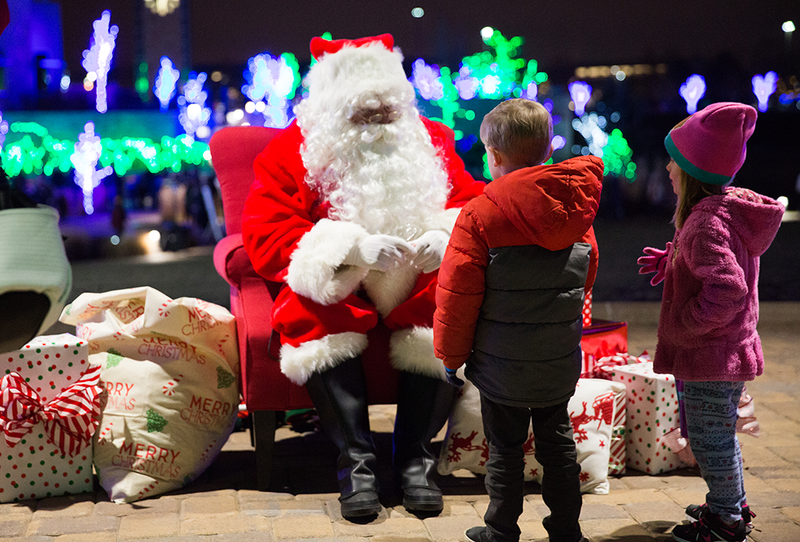 We welcomed the community to Scentsy Commons to experience the magic of the season, complete with over 700,000 lights and performances from local high school and community choirs, a live Nativity scene, free refreshments — and even a visit with Santa! As you can see, 2017 was a big year — and it’s not over yet! Share your favorite Scentsy moments of 2017 in the comments! Separator image Posted in About Scentsy.